from completed build My big build, Revision #3: The finished product. 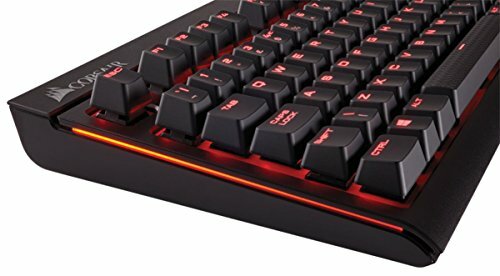 KEYBOARD - Corsair STRAFE - I got this keyboard on sale. It matched my red color theme.. I do not like the clunk sound when smashing the buttons but oh well. It have a really fast response though. Didn't feel like throwing out an extra $30 for the RGB but this does not disappoint. Lighting is reactive and very customizable, the keyboard is comfortable to use and responds well to high speed typing and input. This is my first mechanical keyboard and I'm in love. The keys are very responsive and feel great to type on. Mine has Cherry MX Red switches and now I want to try the other kinds. RGB lighting would have been nice, but at this price, I can't complain. Great keyboard. Love the mechanical feel and the fast cherry switches. This is my first mechanical keyboard, I got it for $80 at Best Buy, and I gotta say i'm impressed. The led's have nice effects. 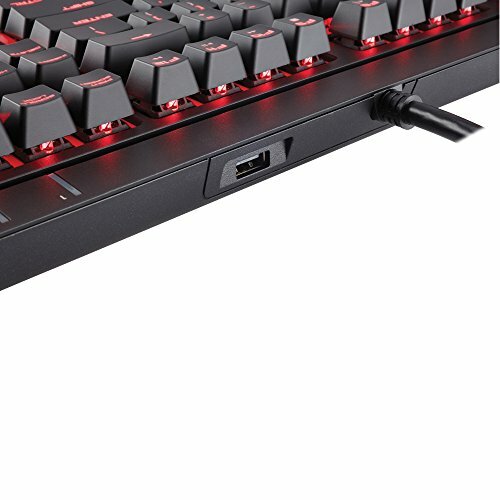 The keys feel very nice and are comfortable to game and type on. Im used to a laptop keyboard so hitting esc is a pain. But overall the keybaord looks and feels great! Very responsive! 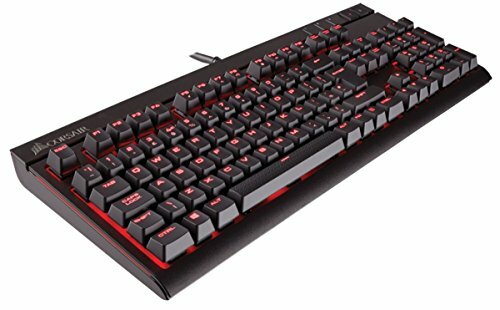 I had purchased a mechanical keyboard a while back and returned it because I didn't feel it was worth the money. The difference between it and a membrane keyboard just wasn't great enough. The STRAFE, however, was a completely different story. It looks great, feels great, and is very satisfying to type on. The red LEDs are bright and crisp as well, which I had never appreciated until I went back and compared this to my old membrane keyboard after using the new one for a few months.